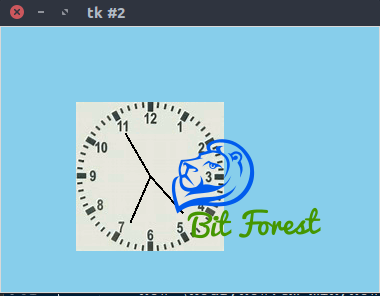 Today, In this post I am going to show you how we can easily create a simple analog clock app using python and Tkinter Module. We all are already aware of the importance of Clock in our day to day lifestyle. And Yes, This importance also inspired us to make any app related to Clock Topic so, that we can use it in our busy day to day lifestyle and This Script also going to help us in polishing our coding skills. But Before Starting Today's Tutorial I Just want to notify you That Biforestinfo Blog is Best Blog for Python Programmers and there is nothing bad thing in following our blog on social. I hope you got my hints. hehehehe. Friends, Maybe Some Of my python examples looks Very Hard For Beginners but Friends, Believe Me, My All Example Are Easy To Understand. They look Hard Because I Am Using OOP (Object Orient Programming). So, If You Want To Be Expert Then don't Lose Your Courage or guts. Now, let's move ahead and talk about the requirements to play with this script. 4. Basic Knowledge Of Tkinter and Python. Actually, In this Script, we going to use Tkinter Canvas Widget. I am assuming that you already aware of Tkinter Canvas Widget. 1. We have to create a root window. 2 create and pack canvas widget with root window. 3. Use Create Image Function To Paste Background Image GIF Into Canvas Widget. 4. Use Canvas Line Function To Represent Analog Clock Sticks. 5. Use Time module to Continuously Update Analog Clock Sticks. Looks Easy!. So, Let's Quickly Play With Real Codes Of Analog Clock Script. And Run it Using Python. Nice work, however, I found an error in the code. Check line 51. I had a question. How would I change the color of the clock hands? To Change The Color of the Clock Hand, Just add fill='color_name' in line 52.